At bottom of this page is a sort of Scavenger Hunt I had to make for students to explore the Medieval Streets of Sarlat-la-Caneda. Use the link to print a google map with markers to the clues. Good luck! If you are tired of dock-walking, lying on a beach or ex-pat bars, seek out an hour or so in the company of Pablo Picasso a the beautifully located Picasso Museum, Antibes. It is the year of Our Lord 1428. War has been raging between the Kingdoms of France and England for nearly a full century. Charles VII of France lays claim to the throne of France, but the situation is getting desperate. Joan of Arc, the Maid of Orleans has not yet arrived at court and the French go from defeat to defeat. The powerful English regent the Duke of Bedford has been advancing down through France and controls a large area around Bordeaux. He hopes to unite the two kingdoms under one rule. 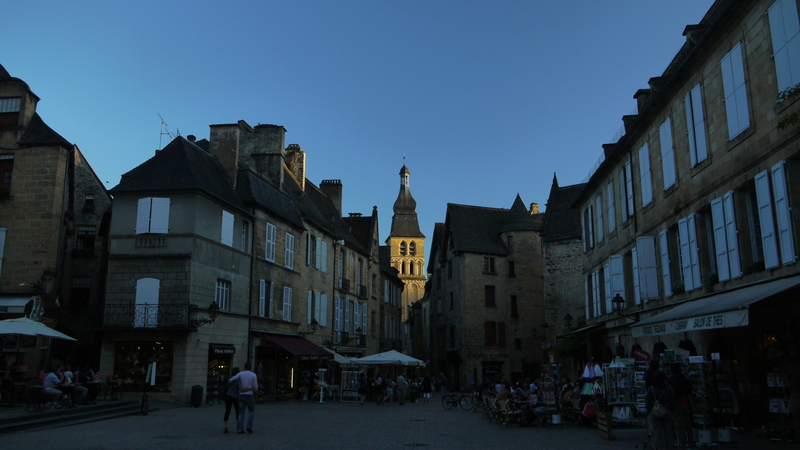 But there is a thorn in the side of his plans to conquer all of the Dordogne – the fortified town of Sarlat-la-Caneda. You are a soldier charged with defending Sarlat. Your actions over the next hour or so could help save the town and thwart the English attack. For you have in your possession a secret weapon. As you were making your patrol on the city wall, you captured a French spy, paid by the English to send them messages on the state of the town defenses. Luckily for you, the spy is carrying clues to several attacks that the English are planning to carry out the following day. If you can interpret these clues and bring them to the Captain of the town defense before it is too late, you have the chance to help stop the English, save Sarlat and win yourself that promotion you’ve been wanting for ages. The defenses of Sarlat have become weak during the war, and the English are planning to exploit some of these weaknesses and conquer the city. To win your promotion, you must find out which of the cities defenses need strengthening – follow the clues, taking a picture of each stop as you get there to show your Captain that you have solid proof of the enemy’s plans. Be careful as you go, as a wrong decision could make the Captain lose his confidence in you, and you will be sent to the gallows! 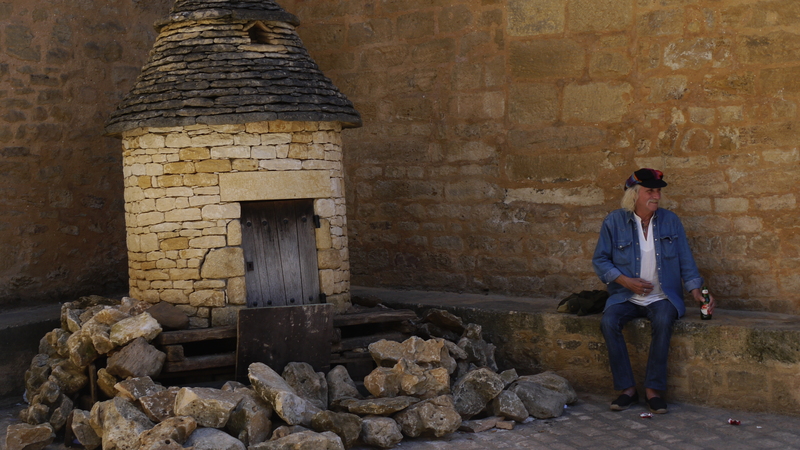 Good luck, the survival of Sarlat is in your hands…. If the people are facing each other, a proposal has been made and the Captain needs to stop the prince from accepting to foil the plot. If the portraits are facing away from each other, the English were not able to get near enough to the prince to offer a proposal, and the defenses are strong. 3. The English have been known to use hostages during the war to extract a ransom from their enemies. Go to Boetie House, where your spy has told you there may be a plot brewing. Count the number of hearts on the front of the building – be very careful and make sure you get them all! If the number of hearts is odd, an abduction has been planned and you will need to make sure the guard is stepped up the city to try and prevent it. If the number of hearts is even, the English have decided the aristocracy is too closely watched and they have given up on the idea of using hostages here. 4. Go to the Cathedral – the ringing of church bells is often used as a code to signal the invading forces to make their attack, but the English will need to cooperation of the monks if they want to use the bells. The church is Benedictine, but who is it dedicated to? If the church is dedicated to St George, the monks are all of English descent and they will betray Sarlat if asked. If it is dedicated to any other saint, Sarlat will be safe as the monks will help defend their city in any way they can. For a bonus point: go into the Cathedral, and look around carefully for the name of the spy. A clue for you – his last name is the same as the town you are in. What is his first name? 5. 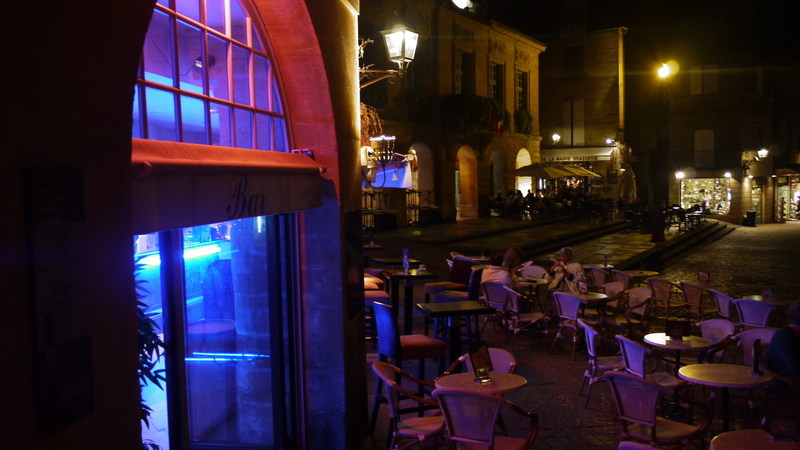 Rue de la Republique is now the main street of Sarlat, but it’s actually very new. 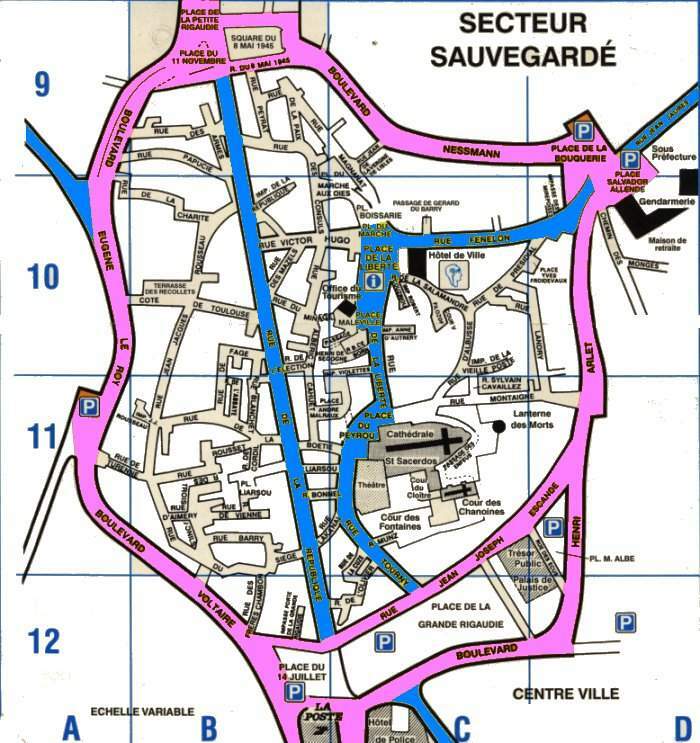 In medieval times Rue Tourny was the major entry point of the town. Walk to the end of this street to what was once the city limits. If the city gates are still there, the defenses are too good and the English will have to find somewhere else to enter. If the gates are gone, the English have worked out the defenses are poor and you will have to make sure the Captain stations extra men here. 6. The Lanterne des Morts on top of the hill has a secret tunnel running from inside the tower to a point outside the city walls. Try and open the door on the front of the tower. If the door can be opened, a spy has left it unlocked and the English are planning to enter this way. If the door is locked, your defenses are holding well. 7. Head to the Presidial, which is marked on your map. This used to be the seat of Royal Justice, but is now used for a different purpose. If the building is now a restaurant, the spies are cutting off the food supply to Sarlat and you will need to take action. If it is not a restaurant, the spies cannot find a way to infiltrate via the Presidial and you are safe here. 8. Chemical warfare has been used for centuries using diseases to wipe out enemy forces. Go to the house of Anne D’Autrery on the corner of Place de la Liberte and Impasse Anne D’Autrery, where you will find a clue to the disease that killed the inhabitants of the house. Smallpox was the most contagious disease at the time and the most likely to be fatal. If Anne D’Autrery died of smallpox, the English are planning to use this disease to infect the whole town. If she died of a different cause, the English have been unable to harness the disease and you don’t need to take any action. 9. Influencing political figures is a common method of gaining an upper hand during a war. Go to the Hotel de Ville, and find the notice board that displays laws and public notices relevant to the people of Sarlat. If there are any notices in English, the enemy forces have infiltrated and you will need to stop the politicians they are bribing from betraying Sarlat. If all the notices are in French, the politicians have all remained loyal and you are safe from attack in this manner. HAVE THE ANSWERS? KNOW WHAT THE ENGLISH ARE PLANNING? – QUICK TO THE FINAL MARKER ON YOUR MAPS – THE HOUSE OF THE CAPTAIN OF DEFENSE ON RUE MAGNANAT!